LAEDC’s Kyser Center for Economic Research has published the 2016-2020 Economic Forecast and Industry Outlook, for L.A. County, SoCal, and the broader U.S. 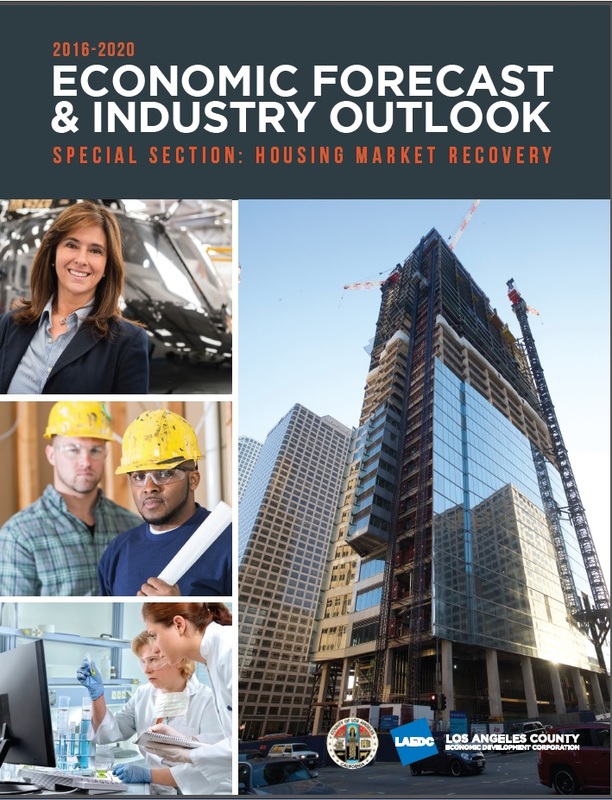 The report includes a look at the housing recovery. The report is provided free 9/30/15 as part of our non-profit mission at Los Angeles County Economic Development Corporation. Support our mission. This report was presented at the September 30th, 2015 LAEDC Economic Forecast Event. For a recap of the event, including presentations and slide decks from the featured speakers, click here.